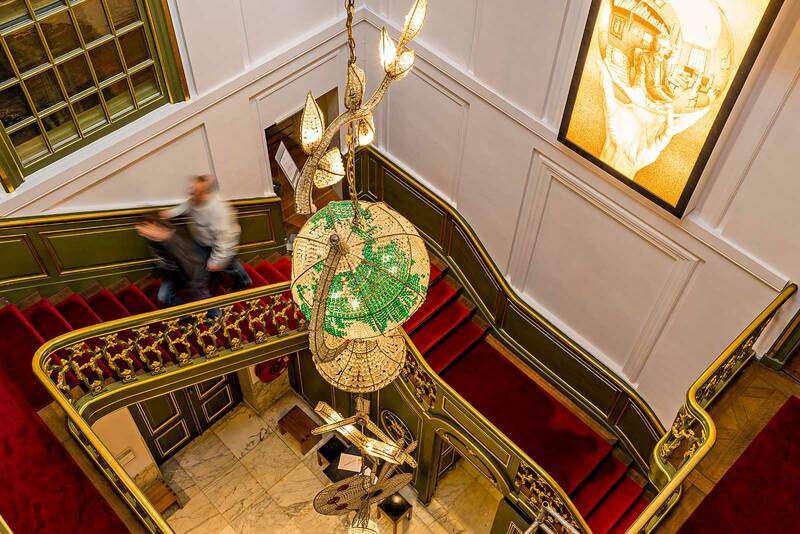 Escher in The Palace is a permanent exhibition dedicated to the world-famous artist M.C. Escher, whose art startles millions of people all over the world. 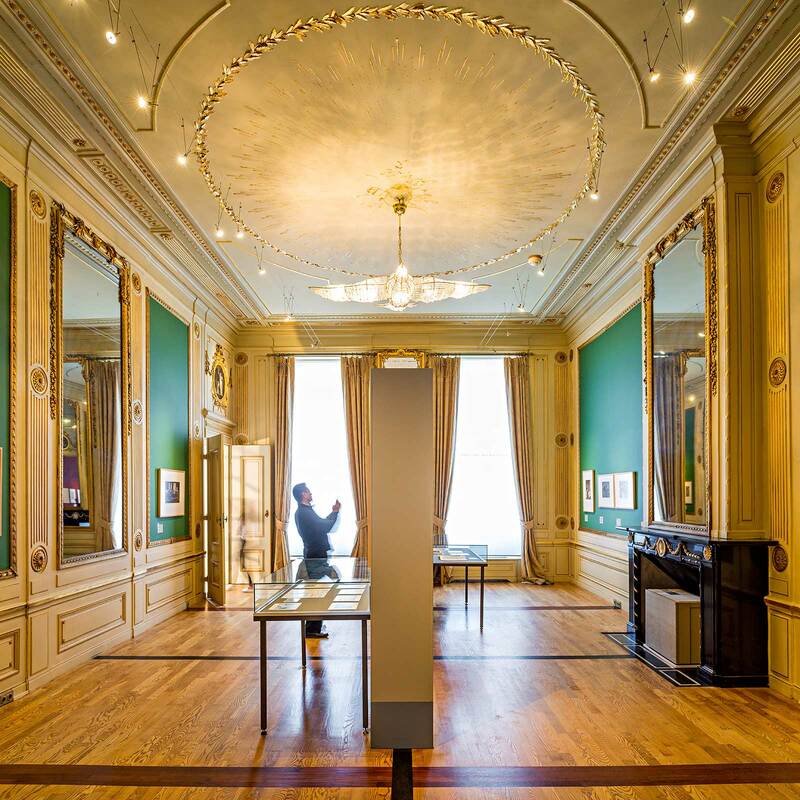 The collection is housed in the former Winter Palace of Queen Mother Emma of the Netherlands. 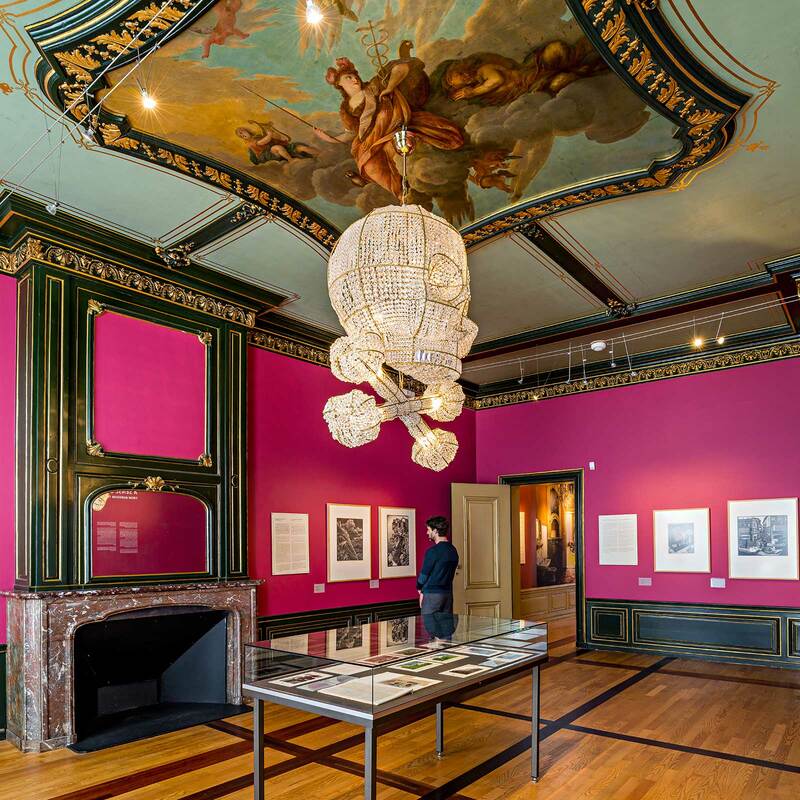 It is the only public building in The Hague where the original royal ambience of a palace has been maintained. 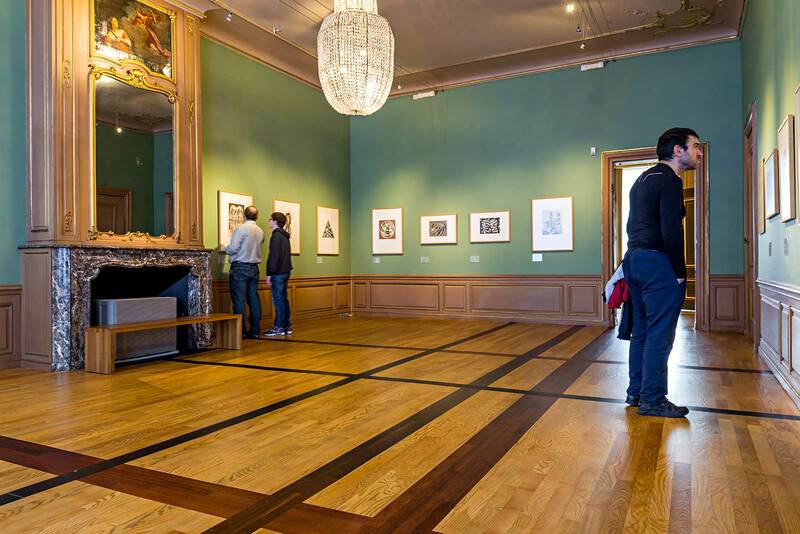 With over 150 prints you can always see the best known works and a changing selection of graphic work and tessellations from the complete works of Maurits C. Escher (1898-1972). Highlight of the visit and crown on the exhibition is the 7 meters long Metamorphosis III. This enormous woodcut and the non-conventional way of displaying it lets the visitor actually experience Escher combining time and space as an organic unity. The art of Escher instills a sense of bewilderment and wonder, and fascinates young and old alike with his magical world. The exhibition includes famous ‘impossible’ prints such as Day and Night, where the Dutch landscape appears to morph into a flock of birds, and Ascending and Descending which depicts rows of people perpetually ascending and descending a flight of stairs. His fantastical structures, which couldn’t possibly exist in the real world, are optical illusions that play with perspective. 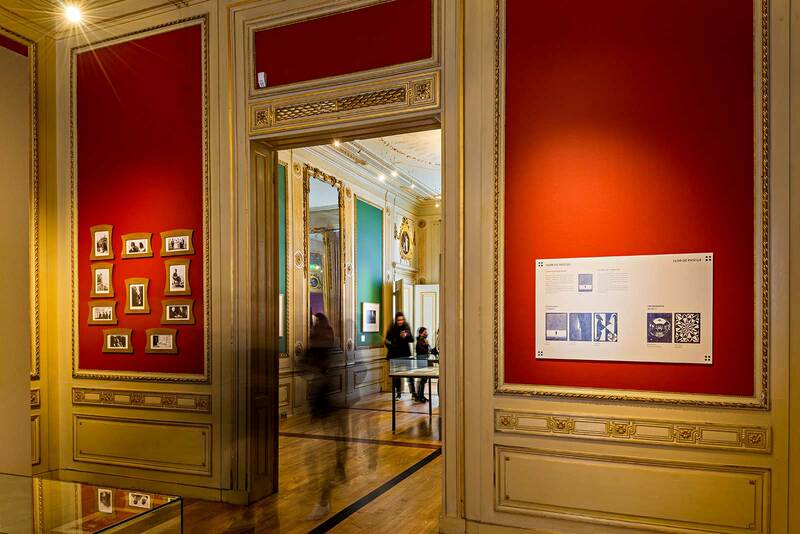 As well as showcasing his famous prints, The Palace also houses a collection of Escher’s early works, such as the beautiful Italian landscapes, studies of Moorish mosaics and bizarre still lives. 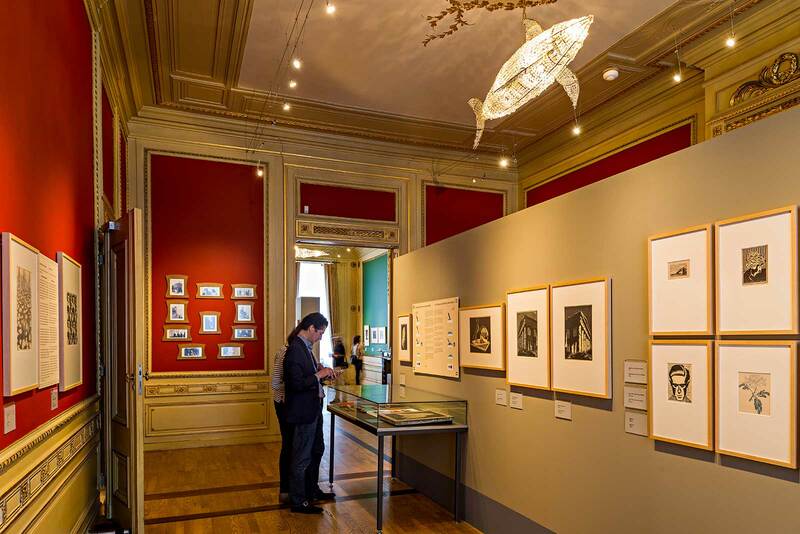 The photographs of Escher’s family capture the private life of Escher, and the wood blocks and lithographic stones familiarize visitors in an accessible manner with his working methods. Former curator Micky Piller talks you through the exhibition Eternity & Infinity and explains why these are reappearing themes in the work of Escher. An optical illusion depicts something which is in fact impossible. M.C. Escher was a master in this field. An optical illusion literally means doing puzzles with your eyes. The visitor will be able to unravel some of Escher’s mysteries like the Impossible Penrose Triangle by constructing one himself. 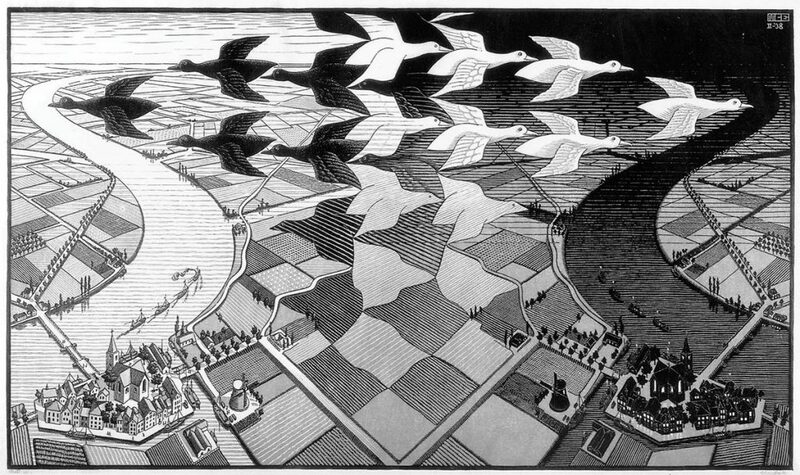 The extra presentation “In the Eye of Escher” shows various themes in which Escher was involved, like reflection, perception and perspective. And have you been wanting to make your own tessellation? Now you can, with our new touchscreen program ‘Design your own pattern‘. As well as these fun attractions, there are also scavenger hunts for younger children. On Sunday and during the school holidays, we also organize workshops for children. Please visit our website regularly for the latest news and updates.